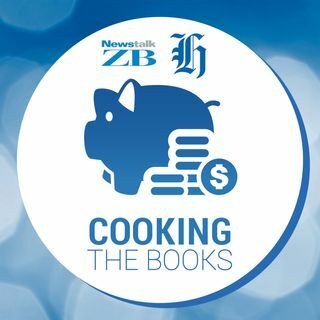 OPINION: Each week, the NZ Herald and Newstalk ZB's Cooking The Books podcast tackles a different money problem. Today, it's how to save money on your power bills this winter. Hosted by Frances Cook. Tomorrow is the first day of winter, and along with the cold and dark, comes the annual spike in power bills. I remember all too well the misery of cutting back electricity use to the bare minimum. In my student days it wasn't just a case of not using the dryer. In one flat I lived ... See More in, I saw a major argument over people daring to use the hot water to wash their hands. There was a screaming fight, followed by an icy stand-off, the whole works. I was horrified by the argument, but at the time, understood why my flatmates got so mad. When you're barely getting by, every cent of power becomes a big deal. But even now that I'm working and winter power bills aren't quite so dire, it's still helpful to learn new tricks. I can afford to pay for a heater now thank goodness, but if there's a cheaper option for my heating, I want it. There are other things I'd like to do with that money. Invest it, go out for brunch, who cares. There's nothing fun about paying off a power bill, so I don't want to spend more than I have to. On the other hand, I can't be bothered nagging my husband to turn off the lights if it doesn't make that much of a difference. It's hard to know which parts are worth caring about, and which parts are optional. I don't have the energy to care about every little thing, if you'll excuse the pun. So I gave EECA Energywise a call, to find out the best ways to save on power this winter. Technical expert Christian Hoerning said many New Zealand houses were colder than they should be in winter. World Health Organisation guidelines recommend a minimum of 18 degrees inside a house, but many kiwi homes fell short of that standard over winter. "We don't have enough insulation, and not effective enough heating to be warm," Hoerning said. "At the same time there are other areas where we can reduce our energy bills without negative side effects." Many people didn't realise their hot water bill cost the sam,e or more than, their heating. Because it was spread evenly over the course of the year it could go under the radar. Most hot water use happened in the shower, and could be reduced with a water saving shower head. Hoerning said it was easy to test if your shower was costing too much money. If you took a ten litre bucket and ran your shower into it on the settings you'd normally use, it shouldn't fill up in less than a minute. "If it does fill up in less than a minute, that shower's wasting energy, water, and basically your money." He said water saving shower heads started around $50, and water restricting attachments were even cheaper. While it might sound like a small switch, Hoerning said it could mean hundreds more in your pocket. "I was working with a family of four that had consistently high electricity bills, even though they were quite energy conscious. "I did that shower test, and it turned out their shower used 18 litres per minute. "For how that family used a shower, that meant $900 a year in power savings, just from changing the shower head. It's tens of dollars, compared to $900 in a year." For heating, the most affordable options to run are heat pumps, modern wood burners, or a flued gas heater. If getting one of those costs too much for you, a portable electric heater is the next best step. But whatever you do, Hoerning warns to stay away from portable gas heaters. "All the gases from the combustion end up right in your room, you inhale them. There's some nasties in there like carbon monoxide or nitrogen dioxide. "And they put out quite a bit of moisture which can make your house damp and mouldy. "If that hasn't put you off, they're also the most expensive form of heating you can choose."